Walmart is one of the most trusted retailers in the world, but that all could change after a group of thugs launched a scheme that could completely ruin people’s lives. The Illinois Sheriff’s Department has warned the public about a new Walmart scheme in their area that has shoppers everywhere panicked. According to Q Political, the scheme begins with the victim receiving a letter in the mail like the one below along with a check. The letter tells the person that they have been accepted into the Quality Control at Walmart and goes on to inform them of their new responsibilities. 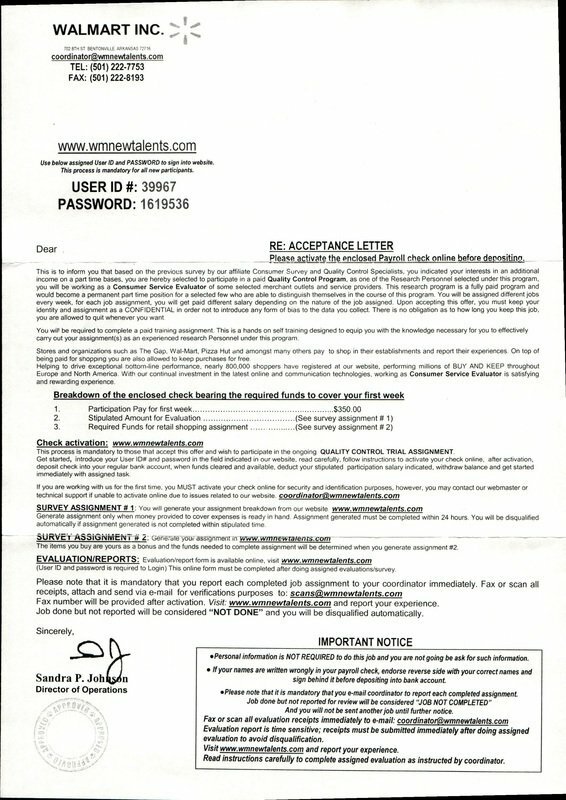 The letter comes with a check that allegedly must be activated using a user id and password that is supplied. The letter claims that once the check is activated, the person can deposit it into their bank account and begin using it to shop and participate in the program. Police have warned that this is actually an elaborate TRAP. Once the check is activated, the thugs drain their victims bank account. 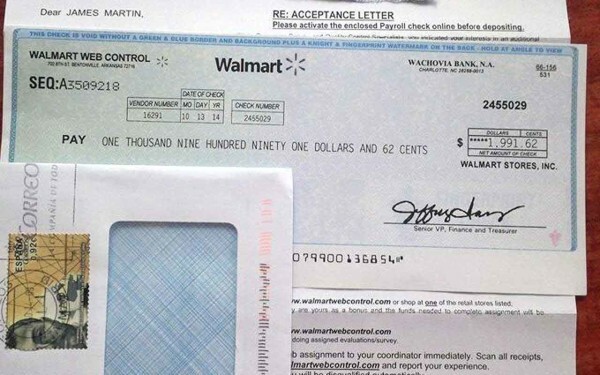 If you receive a check like this from Walmart, do NOT activate it.